Why should you use Eco-Friendly products? Chemical based products can be of greater concern with pets and small children who could accidentally come into contact with them. Safety issues alone make eco-friendly, natural products a better choice, but there are other pros as well. The main disadvantage for standard cleaning products for normal household surfaces is that they often include toxic ingredients like nonoxynols, ammonia, methyl chloride and more! While these ingredients have been studied and deemed safe to the public when used appropriately, long-term contact with these products, especially when used inappropriately, can have lasting side effects. What’s even more frightening is that cleaning-product companies do not have to disclose the ingredients in their products on their packaging. Eco-friendly cleaning products, by contrast, include ingredients that are mostly natural in origin. Some of these ingredients include lactic acid, citric acid, and enzymes. Homemade cleaning products like baking soda, vinegar, lemon juice, borax, and castile soap also share the pros of being environmentally friendly and relatively harmless. 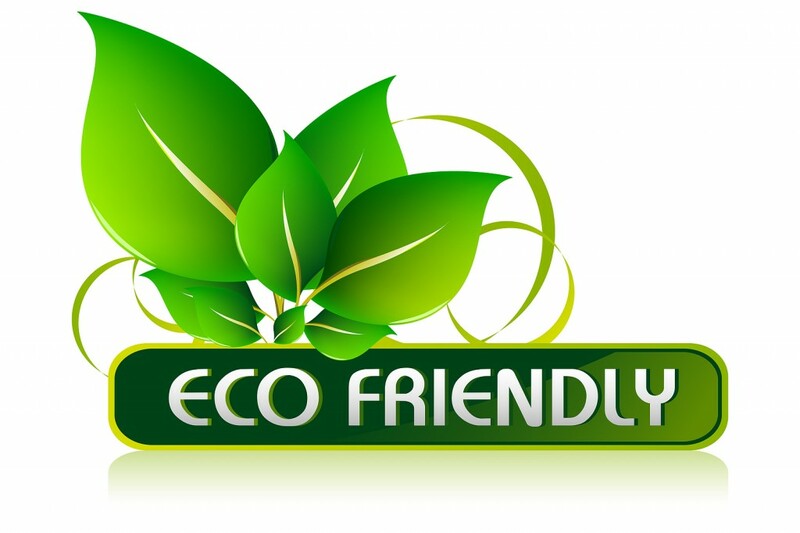 In addition to being safe to use around young children and pets, eco-friendly cleaning products are also biodegradable. Chemicals found in standard products are not. These chemicals eventually find their way into sewer run-off or can be inhaled or unintentionally absorbed into the skin, which can cause irritation to the skin. However, most natural products are less harmful to the ecosystem, leaving less of a trace in the water and soil. Cleaners with eco-friendly ingredients do not irritate the senses, skin, or respiratory system as much as chemical-laden cleaners. In fact, many natural cleaning products feature essential oils and other safe aromatic substances that make cleaning a pleasant experience. Eco-friendly products are also less likely to aggravate allergies and respiratory conditions like asthma or cause skin reactions, unless you’re allergic to certain plants and oils that might be found in the ingredients.